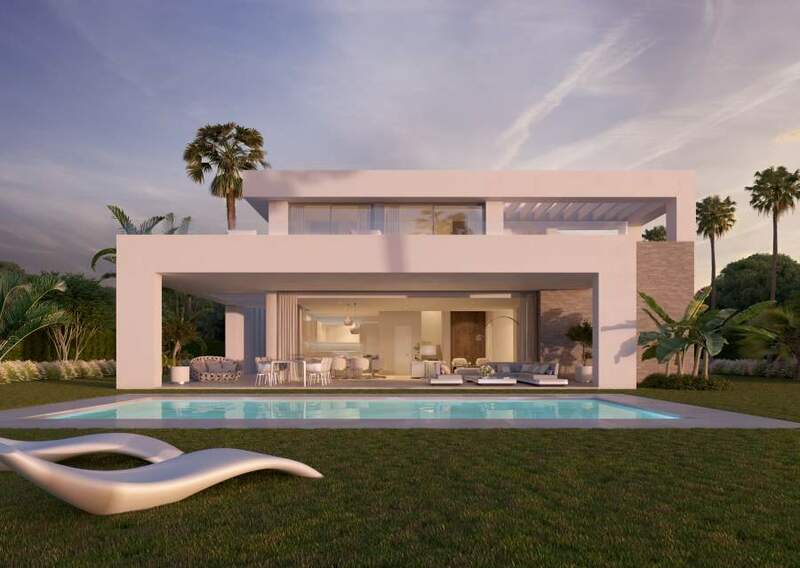 Impressive contemporary villas in flat sales in “La Cala Golf”. A total of 33 villas available with the option to choose the design (3,4,5 or 6 bedrooms), built on a plot of 1200-1600 m2. The most advanced materials and equipment are used, offering elegant interiors characterized by a wide open layout design and large windows designed to allow light to enter the house. La Cala Golf has a magnificent golf course and is located at a distance of 6 km from the beach. The prices range from € 510,000 to € 701,000 depending on the land area and the number of bedrooms and bathrooms.